Marje Obrist’s Gift of Land. The second land donation to the Samson Woods Preserve came early this year when we received notice from Marjorie Obrist that, after deep reflection, she was ready to donate her land in Pike County to the Arc. The 71-acre farm had been in the Obrist family for four generations and lay immediately adjacent to the land that John Samson had gifted earlier. Marje’s gift was made in tribute to George E. Obrist, Jr., her late husband, and in honor of his children and her stepchildren: Ellen Nelson, Kathleen Chatterton, Marianne Cosper, and George E. Obrist, III. Protecting a Phenomenal Rock Shelter. 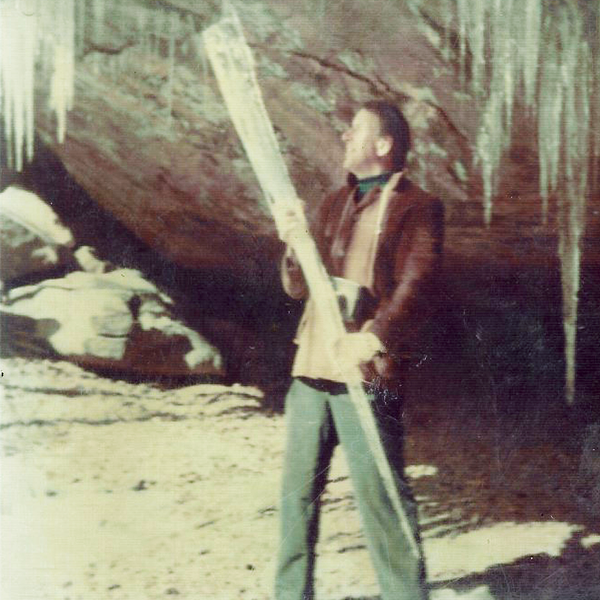 Until we hiked the property, after the donation had taken place, all we knew of the rock shelter on the donated property was from an early photo of George Jr. holding an icicle at the front of the opening. When we actually saw how large the shelter was, we were stunned! Remembering George Obrist. George Jr. and Marje were married for 31 happy years. Even in his older age, George possessed an active mind and a keen curiosity. He kept current on an amazing breadth of subjects and could hold a meaningful social conversation on just about any topic imaginable. In his later years, Marje reflects on how his grandchildren became his greatest joy. Marje is retired from teaching business courses at Columbus State. In earlier years she taught in secondary schools in the cities of Toledo and Gahanna. Marje loved teaching and she absolutely adored her students. Service for Marje is part of her very being. When her parents moved to a nursing home, she visited them frequently. She couldn’t help but notice that there were residents in the home who had few or no visitors. Marje started spending time with them. 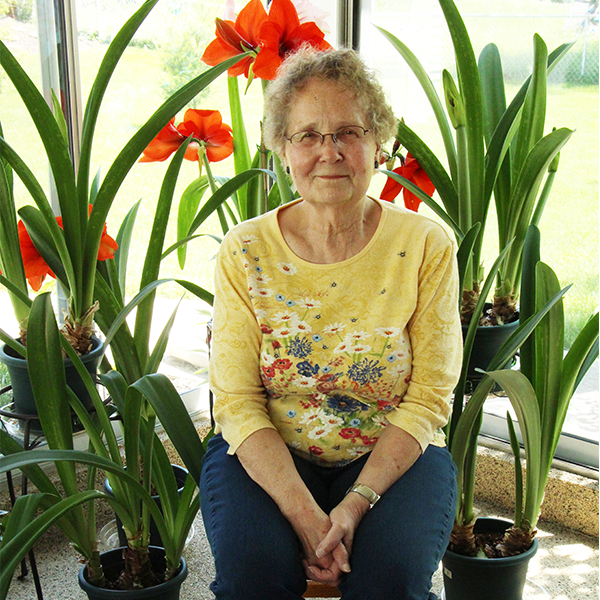 She adopted four such companions during her time there. One of her new friends is a woman who wanted to gather together her memories before it was too late. Marje helped this woman write her family history, an important legacy project that anchored the meaningfulness of this woman’s life. The Arc is humbled by the generosity of both the Samson and the Obrist families and is grateful for the opportunity to carry on their legacies by protecting their beloved woodlands into perpetuity.